Letters Home .... Life of an Amateur Athlete: Guts, Determination and That Lactic Burn. Guts, Determination and That Lactic Burn. One of my favourite aspects of competitive sport is that it has the ability to test and reveal a person character. And it doesn’t only test you once, it pushes and prods and continuously throws down testing your limits. On our recent trip to China I would have to say that it was one of the most gruelling tests I have been through over the last few years. Not to say that we have been taking things easy, but this particular tour really sort to push us to our breaking points. We were in China for three weeks, the first being a heavy training load week, the second a preparation tournament (Kunshan Cup) and finishing off the tour with the Fina World League Super Finals. Each game bought about new challenges, being that this was the first time most of the squad was together and the first step towards making the World Championship team to compete in Kazan in July 24th to August 9th, not to mention that Olympic Squad selection is just around the corner in September. For each game we went in with the mindset that it needed to be better than the game before. Each time we hit the water we wanted to be making improvements. Now these improvements didn’t need to be something out of this world. We just wanted to make the best of every opportunity we had been given to make the important steps towards bringing our best to the World Championships. 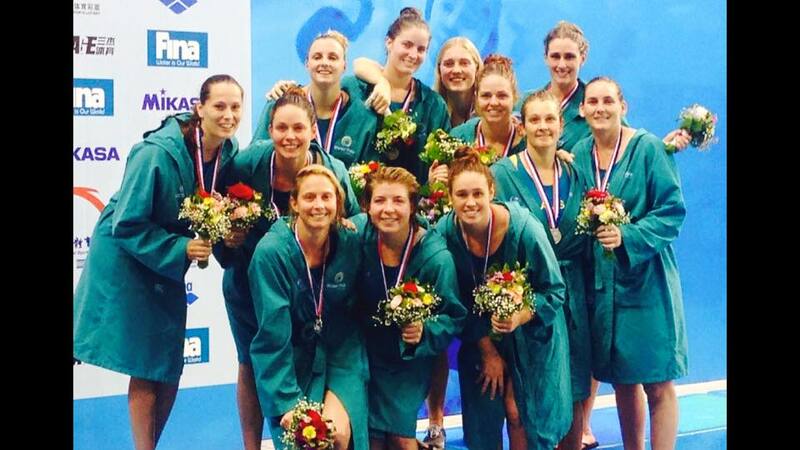 The Fina World League Super Finals saw us playing under strength and under manned. With a few girls coming down with sickness and others carrying injuries we went into the semi final and grand final 2 players down. Playing a game with 9 field players, while not ideal is still possible. Both the semi and final were very heavy games and required all players to dig deep and give absolutely everything in the tank. While the first quarter of the gold medal match admittedly was a long way from our best. The pure guts, determination and down right never give up attitude saw players pull out all stops, seeing us score 6 goals to 2 over the final three quarters. Swimming through the burn of lactic acid as it fills your arms and shoulders, unable to get a full breath of air, legs like cement and your mind starts to divert to how bad you are feeling instead of concentrating on the game plan. To be able to overcome these and refocus your mind of what you have to do and push through everything to get yourself up and down the pool with someone either on top of you, holding you back or chasing that person down is not an easy task. I was both proud and humbled with the effort that all the players put in to those two final games. Leaving China after 3 tough weeks with one Bronze Medal (Kunshan Cup) and one Silver Medal (Fina World League Super Finals) is not something to sneeze at. While we have quite a lot of work to do before the World Championships, I'm excited to see what the girls and myself will be able to achieve when we take on the rest of the World at the Fina World Championships in Kazan.